First of all I’d have to say “Rocket: Robot on Wheels” is easily one of my favorite N64 games. Out of the (about) 200 games I have in general, this is one of the 6 that I’ve played through completely more than once. Personally, I often found myself going back to the first level to build and ride the roller coaster, or head to the world with the bat motorcycle and fly around the level. I never was able to find the last 10 tokens though. The N64 in general probably has some of my most favorite games. Besides Rocket, there’s the Zelda games, “Paper Mario,” Super Mario 64,” “Star Wars Rogue Squadron,” “Yoshi’s Story,” and of course, “Conker’s Bad Fur Day.” The latter being probably my most played N64 game with my friend. I’m pretty sure I’m the reason he got his own N64 just to play Conker’s. 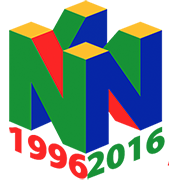 Even after the Gamecube was released (at least until we got “Gauntlet” and “TimeSplitters: Future Perfect”) Conker’s BFD on the N64 was our most played game. 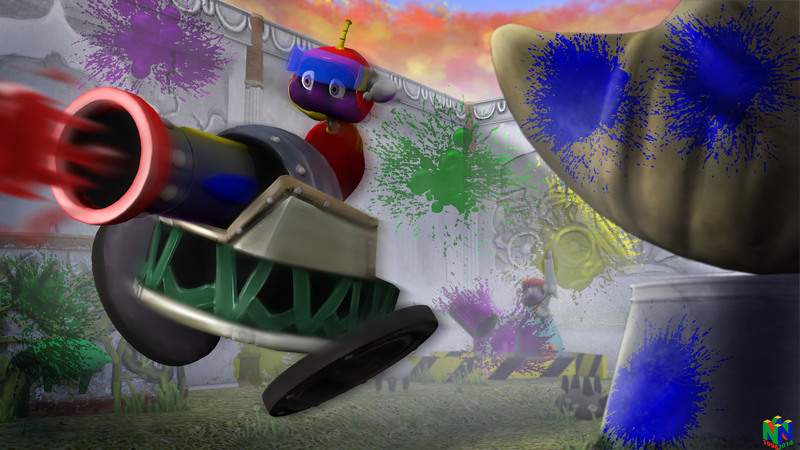 Rocket: Robots on Wheels is a super unusual 3D Platformer game that was developed as the first game by Sucker Punch Productions, known today for their Sly Cooper and InFamous games on the Playstation consoles.